2019 Sunshine Coast Dance Eisteddfod. Late entries will be accepted up until 11.00pm on Friday 22nd February 2019 however a late-fee will be applicable. We will not accept any late entries after these advertised dates, sorry! When checking out from Stardom this year a $27 admin fee will be added to your invoice which allows the entrant to collect ONE dancer pass & ONE program free of charge from the administration desk, when the receipt is shown on your competition day. NEW Additional DANCERS passes in the case of duos/trios, if required, can be purchased through Stardom at the time of entry OR on the day of the competition. The program will be available to view via our website www.dancesunshinecoast.com.au well before the event. Watch Facebook for this announcement. Once the programme is finalised it will be easily accessed/downloaded online via our website. To obtain your hard copy, simply present your stardom invoice at the event to collect both your printed programme and dancer’s pass/es. Every Dancer must have a season pass. These passes are only valid from 13th to 18th April and NOT for Groups. We no longer post any programmes or passes. Prior to the event you may purchase hard copies of the solo programmes at Showtime Dancewear at their Kuluin or Warana Stores. Additional programmes & passes will be on sale at the event. Stardom reminder-: At the time of checkout and payment you need to print & have a copy of your Stardom invoice as proof of payment. Should this not be generated then the payment did not go through, but this can easily be rectified through Stardom. We regret that entries/invoices not paid for in full via Stardom by the 22nd February will not be included in the competition or the programme. TWO (2) Teachers passes will be issued per dance school per day. Please collect your pass from the Admin table on arrival. If you require additional Teachers passes these can be purchased on the day. If Studio Directors or Principals wish to advise us of the names of the Teachers prior to the competition we will have these passes ready for collection daily upon arrival OR Studio Directors or Principals can collect both passes on arrival to avoid any problems for our volunteers. 1. Via Stardom at the time of entering. 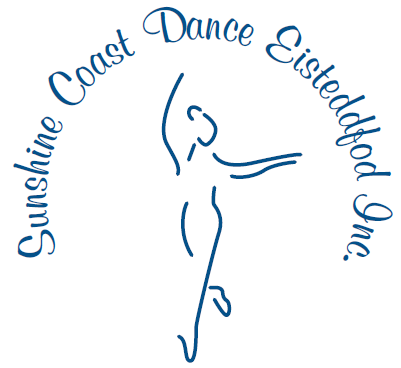 Acc Name: Sunshine Coast Dance Eisteddfod Inc. Please use your studio or business name as a reference. All artwork to be emailed directly to Austin-Zande Imagery info@austin-zande.net . If you require artwork, Austin-Zande Imagery are offering discounted rates. Please discuss directly with them. Studios may wish to advertise in only one or both programmes. Please specify at time of ordering. We have numbered the options below, please use the number as a reference if you choose not to order online. Please also email your studio logo to info@austin-zande.net as we offer complimentary screen advertising to studios that place advertising in our programme. 1. Dancers/Studios enter and participate in this eisteddfod according to all rules and guidelines listed. Lack of knowledge will not be accepted as a reason for the infringement of any rule. May we bring your attention to rule 4 & 4A if this is the first time you have entered this competition. 2. This Eisteddfod is open to amateurs only who have not or are not receiving income is derived from the particular class for which they entered. 3. This is a family-oriented dance eisteddfod; therefore costumes, routines and lyrics must be suitable. 4. ALL COMPETITORS MUST AVOID THE OVER-EXTENDED (TURNED-IN/INVERTED) LEG MOUNT/KICK WITH THE CROTCH FACING THE AUDIENCE. PENALITIES MAY BE APPLICABLE. HOSIERY MUST BE WORN. The Sunshine Coast Dance Eisteddfod Committee sees that our most important duty is as guardians of the Competitors who enter this dance competition. We take our job very seriously therefore we adopt the ‘No Tights, No Dance’ policy. We take great pride in providing a venue for all Competitors to develop their craft and performance in dance, in a safe, family orientated environment and we hope you will support our decision as we are sincere in our actions. To clarify this rule to participate -: the dancer, Female and Male are to wear ‘dance tights’ and should be to the knee (knee length) in all genres of dance. We thank you for your attention and support in this delicate matter. The Eisteddfod Committee is not responsible for any infringement of copyright or royalty by performers or those associated with the performances. Copied music and choreography is used at their own risk. We assume that all studios/schools hold the relevant licences. No prize will be awarded unless there is sufficient merit. The Adjudicator has the power to withhold or divide prizes according to merit of performance. Communication with the Adjudicator either by competitors, teachers or other interested parties during the Eisteddfod is forbidden. All inquiries or requests are to be directed to the Committee or Conductor of session not the Adjudicator. The Committee reserves the right to make any alterations or additions to the programme when they become necessary and to appoint a Substitute Adjudicator at any time without notice. Competitors dance in all sections AT THEIR OWN RISK & in the ORDER ACCORDING TO THE PROGRAMME. Restricted Sections are open to Competitors who have not been awarded a 1st, 2nd or 3rd place in any solo section at this Eisteddfod. Time limits will be strictly adhered to otherwise penalties will apply. The age limit for Competitors is the 31st December in the year prior to the event. Competitors must be prepared to provide Proof of Age if required. The age limit for all competitors in the Eisteddfod is 30 years and under. Competitors must dance in their age group in Solo items. In the case of Duos/Trios, they may partner an older or younger competitor, but the age of the oldest competitor determines the age section in which they compete. 13. Competitors 13 years & over who stop during an item will NOT be allowed to re-appear in that item. The definition of ‘DEMI-CHARACTER’ is a Solo that tells a story which is danced to a non-descript piece of CLASSICAL, INSTRUMENTAL music. The dance is performed with classical technique, and it is up to the Actor/Dancer to tell a story. Simple props may be used, and music has NO VOCALS. NO VOCAL BACKING IS ALLOWED WHILST SINGING, however, vocals are allowed whilst dancing. No pre-recorded tapping during dance sections is permitted. Tap shoes must not be worn in the auditorium and tap shoes must be removed or covered backstage. As we are working on limited staff and in two theatres all competitors are requested to report to the Admin table (located in the foyer) to check-in BEFORE commencement of their first dance of the day. Competitors must be in readiness backstage before the commencement of their section. Those failing to answer their names when called will be assumed a No-Show. No person other than the one whose entry has been received will be allowed to compete. Titles of National and/or Demi-Character are to be noted at the Admin table when checking-in. As this is a friendly Eisteddfod that respects all who wish to take part, canvassing by Studio Owners, Teachers, Competitors or Parents to change a competitor’s place of enrolment is regarded as bad sportsmanship and an infringement of the competitors rights. Anyone who distresses a Competitor will be subject to the Disciplinary Action Schedule. A select number of Committee members will be responsible for delivering a Grade of Disciplinary Action should the Sunshine Coast Dance Eisteddfod be compromised in any way. Props are to be placed on stage with a time limit of one minute. Competitors must show respect for the stage. Props must never be dragged. NO foreign substance is to be spilt on the stage and NO lit candles or naked flames are permitted. No special effects or rosin ever to be used on the stage. In an effort to continually move forward and make our eisteddfod easier for everyone, we will be moving away from the use of CDs and updating our music procedure. Upon arrival at the eisteddfod you may check in ALL of your music at the music desk with a USB stick. The volunteer at the music desk will check your music is named correctly and copy the items. We ask that you use the correct naming conventions as set out below (using iTunes) for each of your music items. Whilst every effort is taken to quickly help entrants with music incorrectly labeled, if there is a line up at the music desk, entrants will be asked to wait until lines have cleared to get assistance with labelling the music correctly. To assist in this transition we have made a video of how to label your music correctly. The video can be found at www.youtube.com/SCDE . Any queries on the process can be asked prior to the eisteddfod by emailing info@dancesunshinecoast.com.au . We suggest that you bring with you two USB sticks incase of failure. If USB sticks are not an option you can bring your music on a CD or device however as these will take longer to enter we ask that every effort is taken to use USB sticks. Repertoire entrants: Please enter your variation in the song name section AFTER competitor number. We ask you to be respectful of the amount of people backstage acting as support. Entrants 11 years and over NO support person allowed backstage. Backstage management has the right to remove any person who breaches this rule and we ask that you always follow the directions of the Stage Manager or face penalties. The taking of photographs by cameras, video cameras or mobile phone cameras of any performance is strictly forbidden. This is a rule of the Child Protection Act. Professional services are provided in both photography and videography and is to be arranged with the consent of the Parent/Teacher prior to the performance. Should this rule not be adhered to then this may result in disqualification. Any device with a screen is strictly forbidden to be used by audience members during any performance. NO tapping EVER on tiles or easily scratched floor areas. In shared dressing rooms all competitors and associated parties are expected to demonstrate respect for the space, costumes and belongings of others always. Each Dancer will be responsible for keeping their dressing space clean and tidy. The toilets/bathrooms cannot be used as change rooms or for hair and make-up. Male or Unisex dressing rooms are set aside for those who require these so please enquire. A Trophy will be awarded for 1st place. Medals will be awarded for 2nd & 3rd place. Ribbons will be awarded for Highly Commended. Winners will be presented with their award ON STAGE at the time of the announcement by the adjudicator and are asked to remain in the wings. Age Championship trophies will be awarded to the winners of each age section however, COMPETITORS MUST PRE-NOMINATE TO BE CONSIDERED FOR AGE CHAMPION. This nomination has a one-off fee. It may be requested that age champion winners for 2018 attend a small ceremony held on the 17th April – Details TBA. 1st place: Prize money of $500 plus Trophy. (a) Master Class with Guest Teacher. Class leotard to be worn and girls are to bring pointe shoes. (b) One Variation from the TRADITIONAL CLASSICAL Repertoire listed below. DANCED EN POINTE. Time Limit approx. 2 minutes. (c) One Contemporary Solo (own choice). Time limit is up to 3 minutes. This is to be an original piece, not a repeated dance already performed at this eisteddfod. Traditional Costumes are to be worn in the required variations. It is advised that entrants keep, as close as possible, to the traditional/professional repertoire. Entrants are ineligible if they have received individual tuition from the Guest Adjudicator in the past 6 months. If you find you are ineligible when the Guest Adjudicator is announced, please contact the Committee and your entry will be partially refunded. PLEASE STATE THE VARIATION YOU WILL BE PERFORMING AS YOU CHECK-IN AT THE ADMIN table. (a) Master Class with Guest Teacher. Class leotard to be worn. Pointe shoes are not required. Time Limit approx. 2 minutes. Traditional Costumes are to be worn in the required variations. It is advised that entrants keep as close as possible to the traditional/professional repertoire. ONE Variation ONLY from the TRADITIONAL CLASSICAL Repertoire listed below. NO POINTE SHOES. The Committee has decided to trial a new section replacing Improvisations. The committee has the right to join sections & age groups should there be insufficient entries. All routines must be choreographed by the dancer who is performing it. No costumes required, basic dance attire in plain colours only. No sparkles or studio logos will be permitted. Solos, Duos and Trios will be combined. These sections will be included if there are sufficient entries. 31. NO PERSON WILL BE PERMITTED TO LEAVE OR ENTER THE AUDITORIUM WHILST ANY ITEM IS IN PROGRESS OR WHILST ADJUDICATIONS ARE BEING GIVEN. The Adjudicator will choose ten Competitors for each Bursary from the solo sections. These competitors may repeat a dance they have already performed or choose a different one. Any style will be acceptable. Competitors MUST HAVE NOMINATED VIA STARDOM at the time of solo entry to be considered for selection. A competitor may NOT nominate if they have won this Bursary in the previous year’s Eisteddfod unless changing from Junior to Senior Section. A competitor who has won the Senior Bursary may enter again after 18 months has passed. If you would like to sponsor a trophy for a section, you can do this online also at the time of entry via STARDOM. Donating $30 to $50 will allow sponsorship of a section and would help considerably. A great deal of money is required to stage this Eisteddfod and every little bit helps and is appreciated. We are a not-for-profit organisation run by a group of volunteers who give their time freely. If you are able to lend a hand and be part of organising this event please contact the committee, we’d love your assistance. Note: Competitors need to nominate for consideration. Please see rule 32. Note: Competitors need to nominate for consideration.